UMP senior students at Park Slope Collegiate and their teachers Michael Salak and Gabriel Solis, researched the changing neighborhood of Gowanus, Brooklyn on foot and through the camera lens. Their photographs capture an area quickly shifting its identity – from industrial to residential, low- to high-rise, and affordable to luxury housing. Complicating these issues is the fate of the Gowanus Canal, a highly toxic 1.8-mile industrial waterway that runs through the neighborhood, declared a Superfund site by the EPA in 2009. Like many New York City neighborhoods you can see the Gowanus’ history and values encapsulated in its physical landscape; the warehouses, apartment buildings, walls, walkways, and signs that lie adjacent to the canal. The students’ photographs turn their attention towards the canal’s banks, capturing the area’s decay and beauty, and in so doing they expose potent forces of preservation and renewal at play. 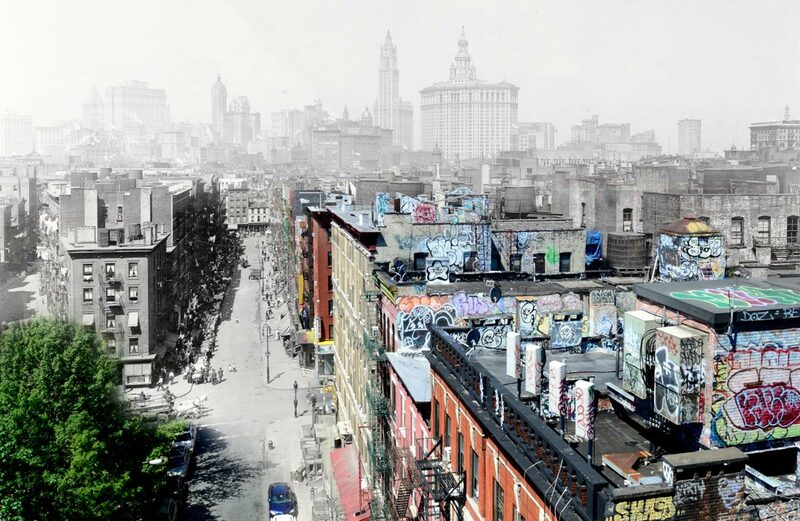 This photo-walk was the first piece of a month-long examination of the Gowanus. By the end of the unit students used their research to frame answers to questions on the minds of many NYC dwellers: What is really the greater good for NYC and its residents? How do you preserve what is valuable to you in a city defined by change? Photographs by: Andrea, James, Jael, Manuel, Franciely, Kay, Ricardo, Makaila, Jada, Jaidyn, Ania, Kenneth, Andy, Zhakai, Nadine, Mr. Salak, and the senior class of PSC, 2018.